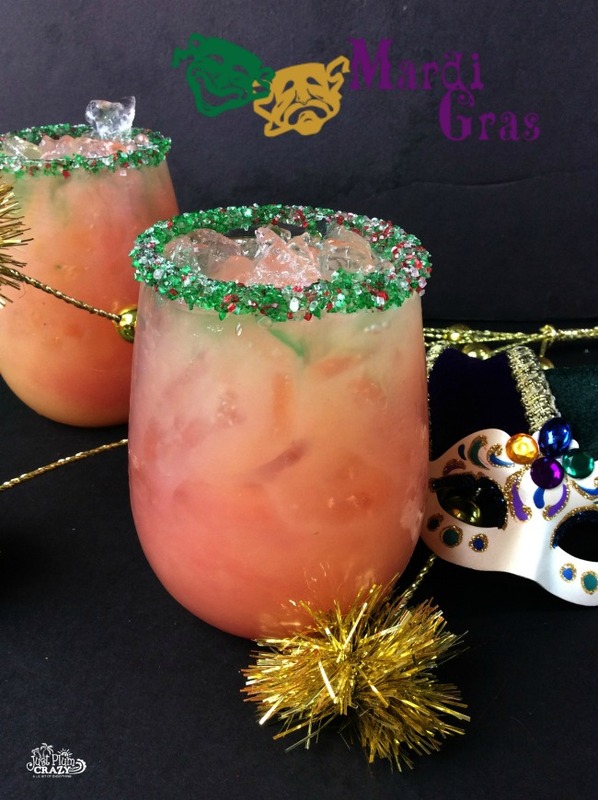 The Mardi Gras Cocktail Recipe is brought to you by Just Plum Crazy. Can you believe that Lent is just a couple days away? No matter if you celebrate Mardi Gras, Fat Tuesday, Shrove Tuesday or Paczki Day (yes, I am Polish! ), this cocktail recipe is perfect it. And as much as we would all like to be in New Orleans for it, sadly we all cannot. 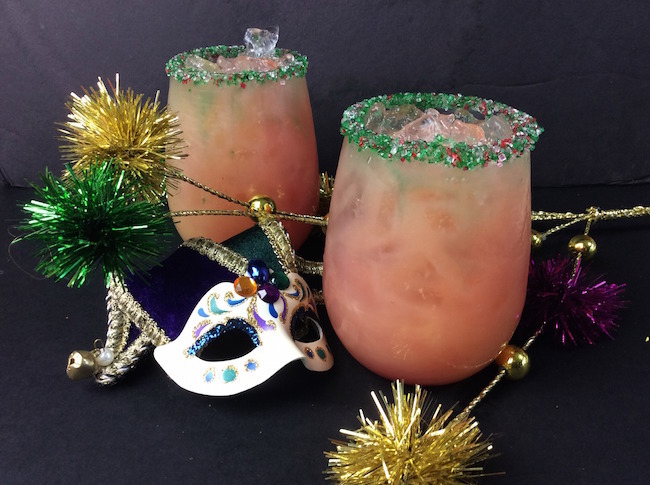 Let’s celebrate with a Mardi Gras Cocktail recipe. 2. Add green sanding sugar to a plate. 3. Then roll rim of the glasses in the simple syrup then into the green sanding sugar. 4. Fill your glasses full with ice. 5. 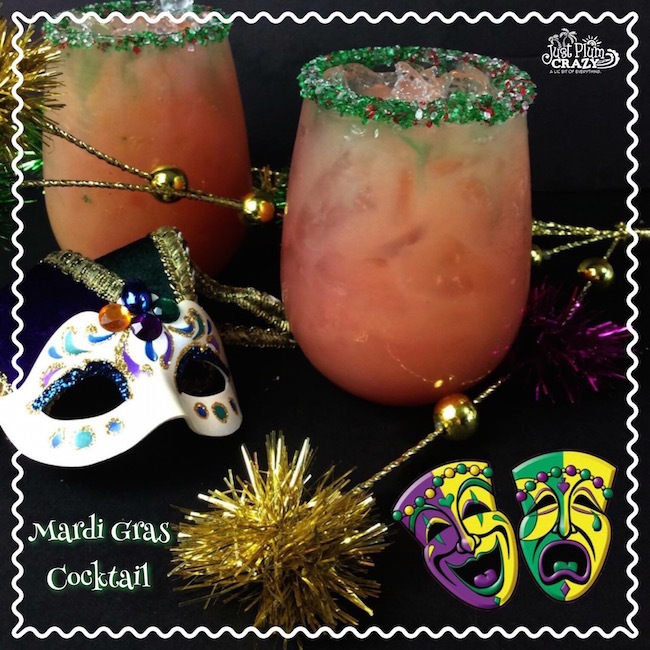 In a bar shaker add your liquors, lime juice and passion fruit syrup shake to combine. 6. 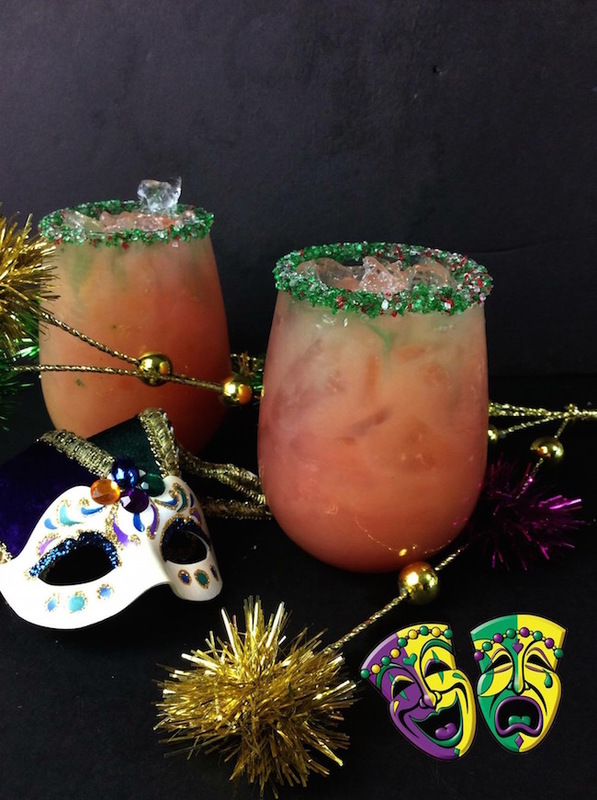 Pour your grapefruit juice into the glass and top with your liquor mix.